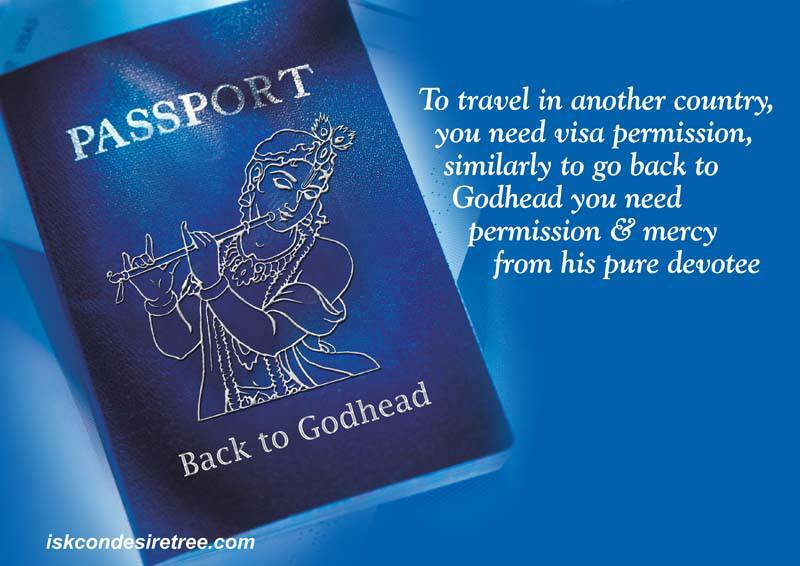 To travel in another country, you need visa permission, similarly to go back to Godhead you need permission & mercy from his pure devotee. 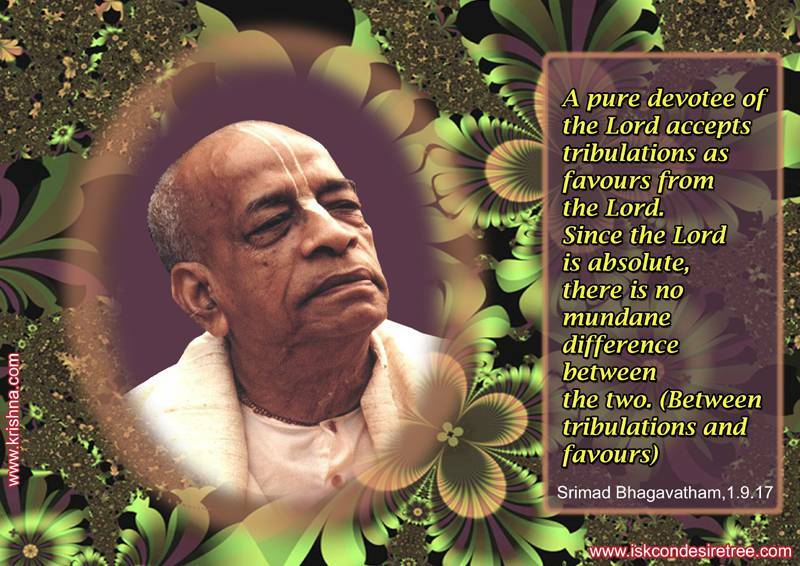 A pure devotee of the Lord accepts tribulation as favours from the Lord. Since the Lord is absoulte, there is no mundane difference between the two. (Between tribulation and favours). — Srimad Bhagavatam, 01.09.17. 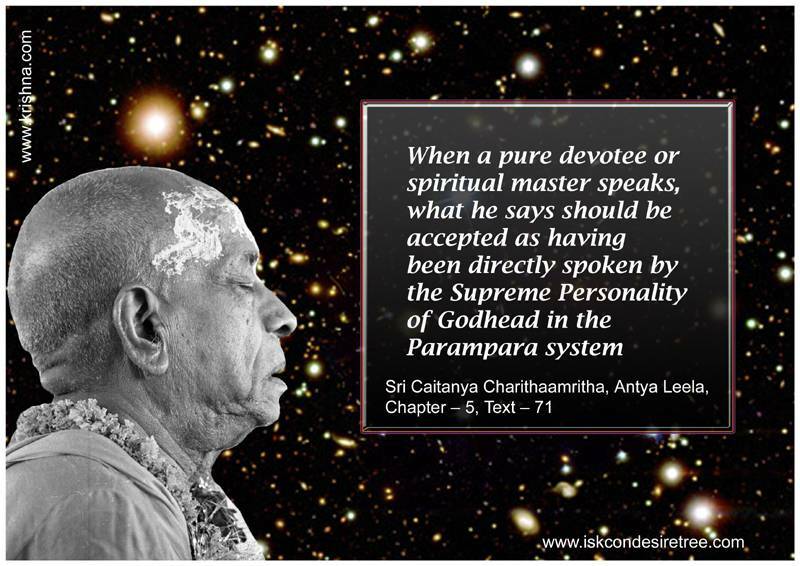 This is the symptom of a pure devotee. One should serve the spiritual master first. 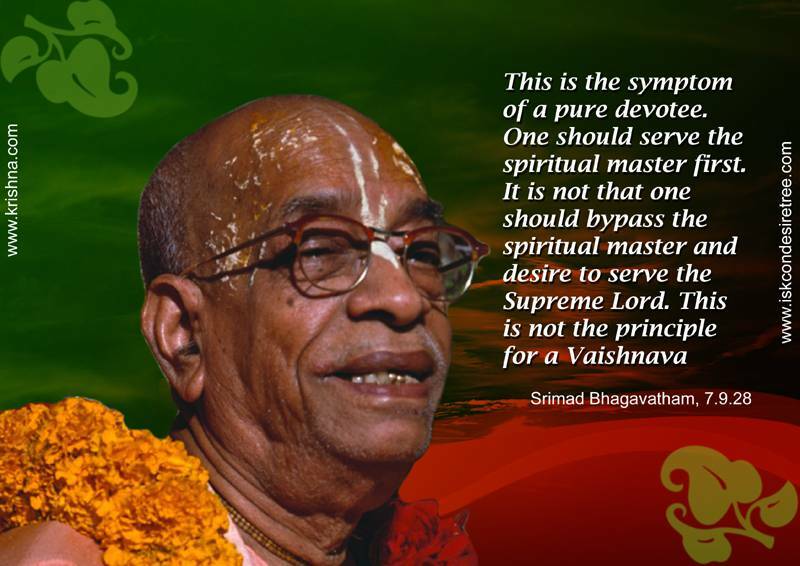 It is not that one should bypass the spiritual master and desire to serve the Supreme Lord. 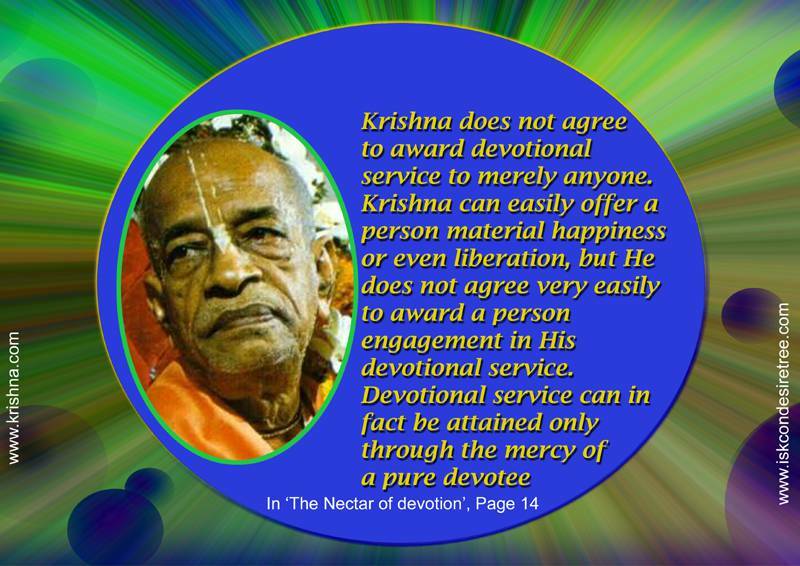 This is not the principle for a Vaishnava.